CELEBRATE FALL FEST WITH FREEDOM LIFE KIDS! Just after service on Sunday, October 28. Free food and fun for all ages. Bounce houses, candy bags for kids, prizes and more. People! JESUS ENCOUNTER was amazing. Worship was powerful. The word from Pastor Grace Abbey (Mansfield House of Prayer) was direct and prophetic. The Prayer Team worked with Pastor Grace to pray with those who needed healing and encouragement. The power of the Holy Spirit was near tangible in the room. It was truly amazing! If you were unable to attend, keep watching for details on our next one. 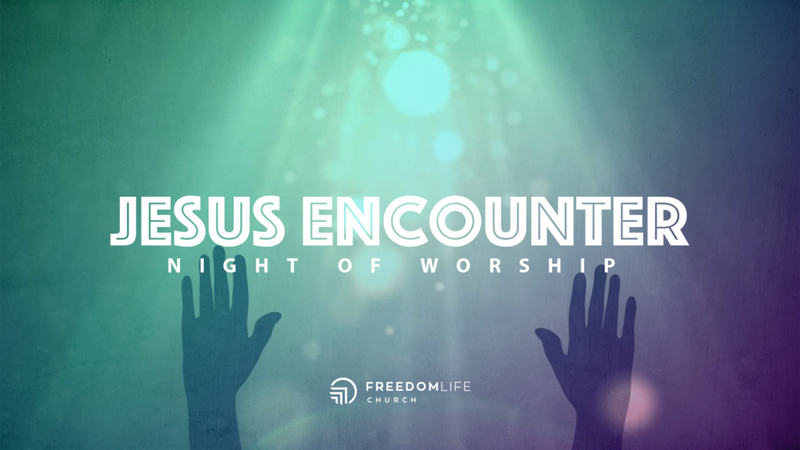 JESUS ENCOUNTER is just that — an encounter with Jesus Christ. This is an experience you MUST plan for you, your family and your friends. It’s time for the GRAND FINALE! This series has been so good. But all good things must come to an end. “24/7: The Rhythm of Life” concludes this Sunday! Let’s wrap it up with a bang. Miss the most recent message? Listen now or download for later. Freedom Life Groups continue this week!